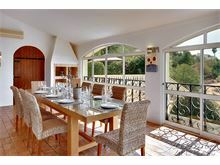 Casa Eleanora is a grand villa perched on the hillside as you arrive at the entrance to Carvoeiro driving from Lagoa. Its position means it commands superb views over the village from its fabulous glass fronted day room which runs the length of the property. It takes about 10 minutes to walk down to the village centre, with its excellent choice of bars and restaurants, and a few more minutes brings you to Carvoeiro beach. The walk back is up a fairly steep hill, although it is very easy to take a taxi from the town square, should your legs not fancy the walk after a lovely meal and a few glasses of wine! 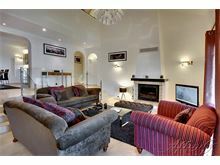 The interior of the house is quite unique and on several levels with a minstrel's gallery overlooking the lounge and giving access to the upstairs bedrooms. 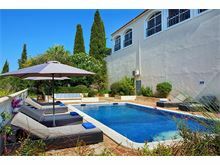 The villa is very spacious throughout with all bedrooms en suite and a large lounge and separate day room making it ideal for larger parties. 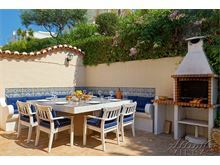 The exterior patio has a built-in barbecue and stone table, close to the kitchen and from here a staircase leads down to the walled pool area which can be heated during the cooler months making this an ideal holiday villa at any time during the season. Entrance is into the hall which leads down steps to the sitting room with wood burning stove, TV, DVD and stereo, doors lead out to an enclosed terrace with fantastic views and a sun room, perfect for cooler evenings, doors lead to the barbecue and built-in stone table and bench seating. Stairs lead up from the lounge to a guest cloakroom 1 twin bedroom with en suite bathroom with separate shower, dining area and arch to the kitchen with microwave, dishwasher and doors to a private rear terrace. Stairs lead up from the lounge to a minstrel's gallery, off which are a double bedroom with shower room en suite, a double with a bathroom en suite and a twin bedroom with a shower room en suite with door to terrace. Maid service 3 times per week. 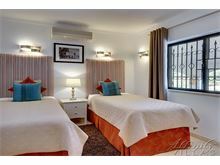 Air conditioning (bedrooms only) and pool heating are available at extra cost, if required. The villa was perfect , the rooms were amazingly clean and spacious, location was walking distance from the town , although a hill climb on the way home. We had the pool heated which was worth while as the weather was changeable , so still able to use it even when it was raining. The town offered so many restaurants , everyone we tried was good value for money, excellent service and great food, will definitely be returning next year. Had a lovely week in casa Eleanora, beautiful villa, location was good, nice to be able to take the short walk into the town, although very steep walk. 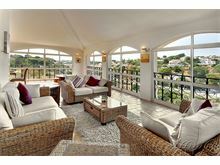 Lovely large villa for 8 persons close to Carvoeiro centre. Beautiful gardens and pool. Maid service very good. Wish we had booked for longer than a week. 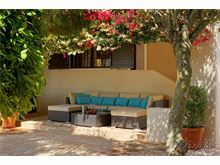 We have recently returned from a fabulous week in the Algarve, staying at Casa Eleanora. 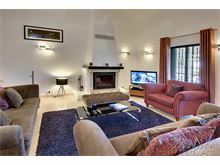 The villa was exactly as we expected from the photos shown on the website and was spotlessly clean, extremely well equipped and very spacious. We would not hesitate to recommend the villa and hope to be able to return there ourselves sometime in the future. The Villa and its location were brilliant. From beginning to end of the holiday everything was perfect, the villa was exactly as described, we found nothing at all to complain about and would most definitely use affinity villas again. Thank you once again for a wonderful holiday. 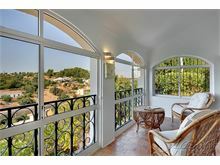 Very close location to the town & beach & views from the villa were amazing. We had a brilliant family holiday & would definitely book it again. We had a wonderful family holiday. 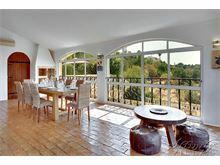 The villa was spacious and well equipped.it was secluded and not overlooked with great views. Pool was excellent. Fabulous holiday in a beautiful villa which suited us perfectly. 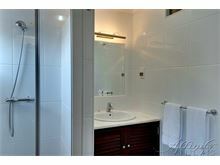 Lots of space for everyone to relax independently but with enough space and facilities for everyone to be together. Lovely outside spaces to enjoy in the great weather. Our villa was amazing will definitely book again. We've just returned from a fabulous holiday at Casa Eleanora. 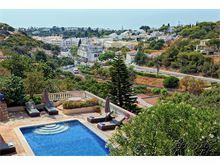 The villa is lovely, ideally placed with just a short 10 minute walk to the centre of Carvoeiro. The town had plenty of nice restaurants and a good vibe. The small beach at Carvoeiro can get very busy but other much larger beaches can be found a short drive away. Both the housekeeper and maid were very helpful, keeping the villa clean and dealing with a couple of minor issues effectively. 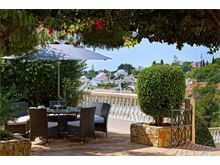 We'd recommend both the villa and town to all who enjoy the Algarve. Casa Eleanora is a beautiful luxury villa. 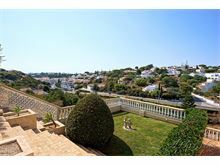 It is well positioned right on the hill above Carvoeiro and has beautiful views. 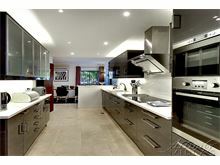 It is very well equipped with everything you could ever need. The pool area is fabulous, it gets the sun all day and all the sunbeds, umbrellas etc are of a very high standard. 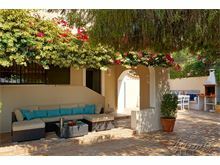 There is plenty of space in the grounds of the villa too, it was lovely sitting outside to eat on a couple of occasions. It takes 5 mins to walk into Carvoeiro and the walk back is fine if you take your time but there are an abundance of taxis if you'd rather not walk up the hill. There is a small supermarket and restaurant within 5 mins, the restaurant is good and the staff are very friendly. 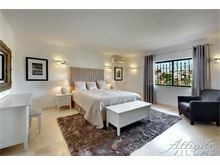 We can't rate the villa highly enough or the service from Affinity, we'd all love to go back again sometime. 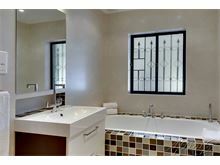 Fantastic Villa with great views and amenities. Close to town and shops. 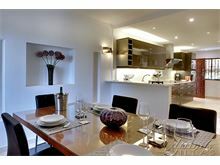 Fantastic space and lots of sitting and eating areas. Would definitely recommend. Absolutely fabulous. 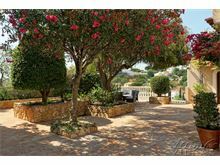 The villa had a beautiful location and a lovely homely feel. It was great to be able to walk into Carvoeiro without the fuss of having to drive. Our party of 8 family and friends relaxed, caught up and put work behind us for the week. Priceless!! We had a very enjoyable week here as a family group who went to celebrate a 60th Birthday. 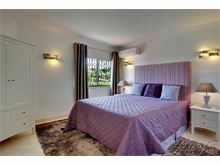 The villa is lovely and spacious, & very well equipped. 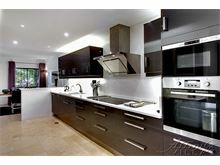 It's wonderful to have a villa with such a well equipped kitchen. The house manager of the villa was very helpful & friendly, giving us some good suggestions for restaurants to go to for a special birthday meal. We were unlucky with the weather as it was cloudy and rainy for 5 out of the 7 days. As the villa is so roomy and comfortable, this was not so much of a problem - the conservatory area is particularly nice to sit & relax in (and watch the rain). Having the pool heated was a good move & it meant we enjoyed using it even at cloudy times & during the (lighter) rain. On the whole the villa suited our group really well & despite the weather we had a great time & managed to make use of the BBQ and pool. Finally a mention for the maid, who was very cheerful as well as efficient & helpful. 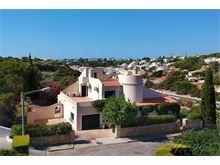 Very comfortable and spotlessly clean villa with modern, well equipped kitchen and a range of indoor and outdoor seating areas allowing different generations to have their own 'space'. Reliable internet throughout property. Villa has the benefit of only a short walk to Carvoeiro centre so plenty of eating out options close at hand. Two Large Supermarkets five minutes drive away so easy to top up on groceries. 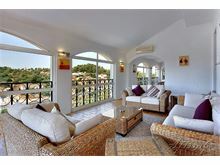 Fabulous villa and lived up to the photographs on the website. 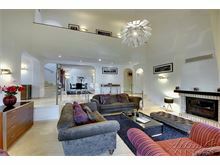 Lots of space to entertain and the pool was exceptional. Pre-booked the pool to be heated which meant the kids were in it most of the day! 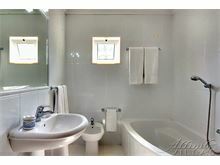 Location good, just 15 minutes walk to the town but be ready for the steep hill on the way back! Even if wanted to get a taxi back the cost was only 7 euros so don't let it put you off. 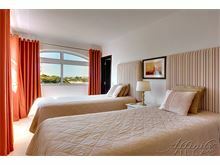 Great experience with Affinity Villas - would stay here again. Our first holiday with Affinity at Casa Eleanora but have visited Carvoeiro several times. 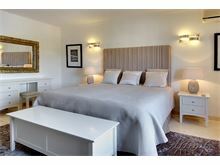 The villa is very spacious, plenty of room for everyone (6 adults) and extremely well equipped. Excellent position within a 15 minute walk of the village (downhill but a little longer getting back!) and a short drive to a couple of good supermarkets. Lots of outside eating space with barbecue, the pool area and seating is lovely. Generally we enjoyed the villa, the provision of 3 fridges and 2 freezers was excellent, the pool good and the maid service and general condition excellent. 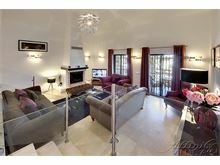 Fabulous Villa, the photos alone do not do it justice, lots of space, everything you possibly need and more, and all of excellent quality. The Villa Manager and Maid service both top class. Would Highly recommend! Excellent. Thank you. We had a wonderful holiday at this beautiful villa. The photographs do not do this place justice. 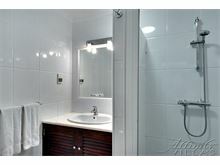 Well equipped with everything we needed for a comfortable stay with modern facilities. The villa is located on top of the hill into the town. Despite what the website recommends, we did not need a hire car and found the local amenities easily reached by foot and taxi service listed in the welcome book very efficient and helpful for longer journeys.